Are you looking for the perfect setting to take a fall photo with your kiddos? Maybe you kids want to pet a goat or see an antique tractor? Want to teach your kids how to make a pumpkin pie from an actual pumpkin instead of can? Do your older kids want to try a corn maze? Here’s where you can find all of these! Cottonwood Farms is a beautiful spot with a view of the Flatirons in Boulder County. Admission is free, there are plenty of animals to pet and a maze of hay bales for your younger kids to explore. 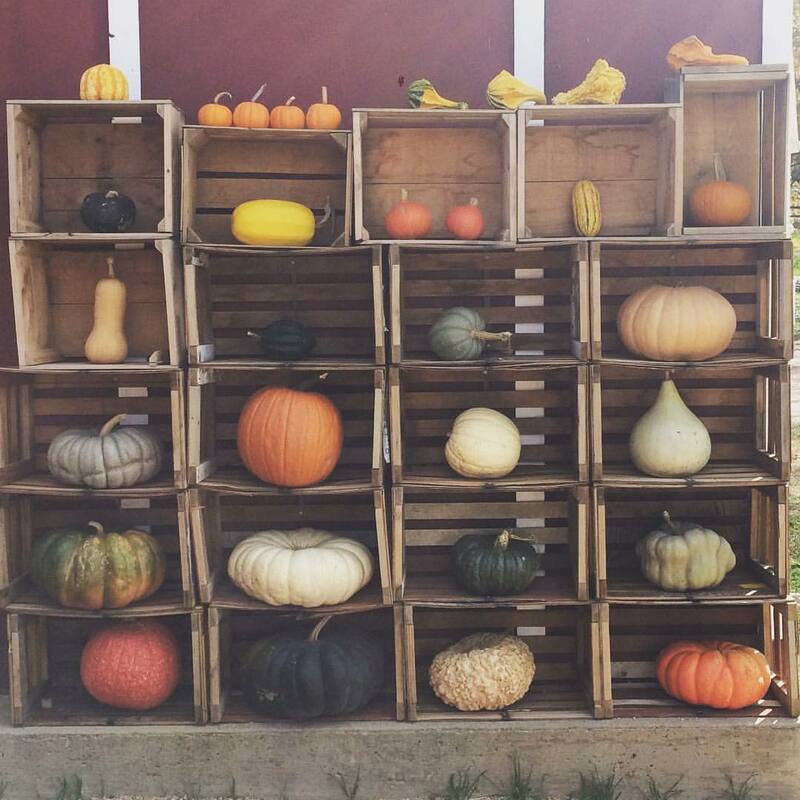 Grab a wagon and head on out to the huge field to pick our your own pumpkins. Cottonwood also has a corn maze that had my middle school-age kids running and laughing, too! The only cost is any pumpkins, gourds, corn or apples you buy at the farm stand. It a beautiful place to spend an autumn afternoon. Since you’ll be close, head north to Munson Farm. Again, admission is free. 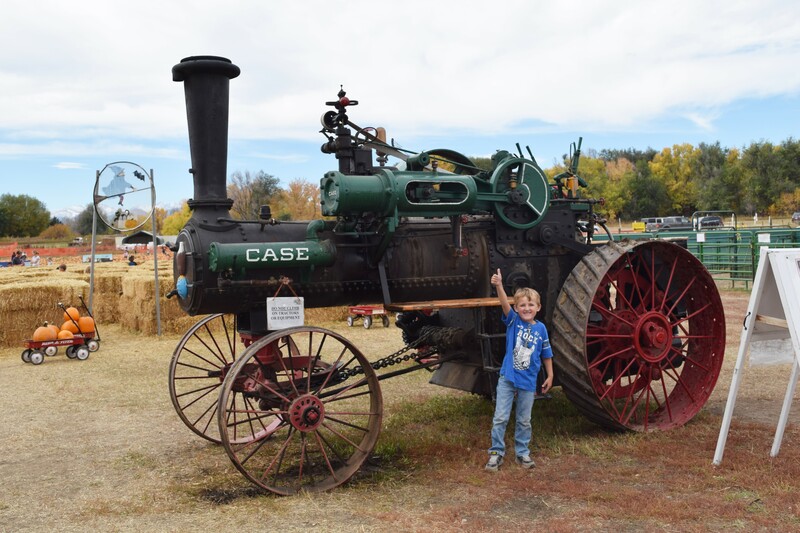 On the weekends they give tractor rides – $3/person or $10/family. They specialize in heirloom pumpkins and other gourds. I happened to bring home a Cinderella Pumpkin, which looks like her coach and legend says was the inspiration for the author of the fairytale. They don’t have any animals to pet, but if you want to try some traditional autumn recipes, this is the farm stand to get your gourds! 7th Generation Farm in Louisville is a charming little spot you won’t want to miss! It is an actual working farm with organic produce for sale in their farm stand on the weekends. While walking up I was greeted by the sounds of ducks, geese and chickens having an afternoon snack. The family (and the barn) have been there since the early 1900s and are happy to help you find something yummy to take home. I suggest trying their honey and produce. It’s delicious and their prices are very reasonable. Definitely stop by if you want an authentic farm experience! To find a pumpkin patch in your area, check out the Pumpkin Patches and More directory.